A multi-sport athlete, Tommy Grant starred in basketball, track, baseball and football. In 1955, Grant played in the Canadian Junior final with the Windsor AKO Fratmen. Grant had a career total 54 touchdowns for 324 points. He rushed 559 yards on 127 carries for a 4.4 yard average, caught 329 passes for 6,542 yards, and had a 19.9 yard average per reception. Grant returned 215 punts for 1,229 yards, had 80 kickoff returns for 1,998 yards, and intercepted 4 passes for 82 return yards. 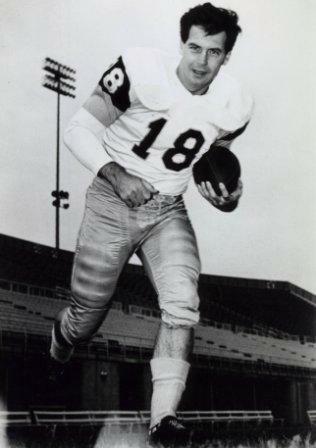 Grant was the league leader in 1957 with a 29.4 yard kickoff return average and was the Eastern Conference leader in 1962 with a 30.8 yard kickoff return average. Grant played in nine Grey Cup championships. Tommy Grant is a member of the Windsor Essex County Sports Hall of Fame.